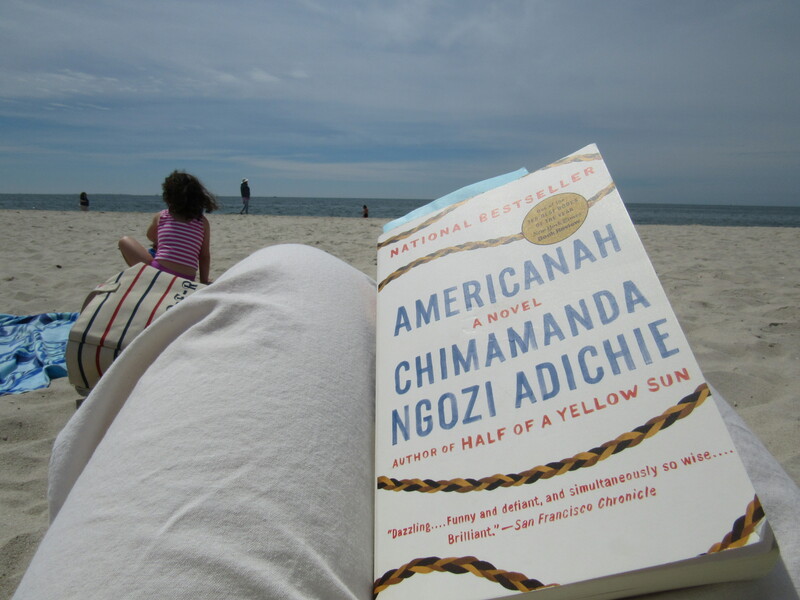 Americanah is a book about the immigrant experience. It follows the journey of Ifemelu, a young Nigerian woman who immigrates to the U.S. in search of better educational and professional opportunities. Ifemelu is a black woman whose blackness doesn’t become an integral part of her identity until she moves stateside and others constantly make her aware of her race. When she arrives in the United States, Ifemelu goes through many years of hardship and adjustment. She struggles to make ends meet, to “fit in,” and to prosper. Through perseverance, intelligence, and hard work, she manages to succeed in school and life. She starts a blog entitled “Raceteenth or Various Observations About American Blacks (Those Formerly Known as Negroes) by a Non-American Black.” However, despite her eventual success, Ifemelu never feels completely at home in America. She misses her family, her culture, and she longs to return to the man she loved as a teenager. These forces push her to return home to Nigeria (not a spoiler since she states this at the beginning of the book). I connected with Adichie’s descriptions of the immigrant experience given that I am bi-cultural/ethnic. While I was born in the U.S. and am white, my maternal family is Costa Rican and I was raised in Costa Rica from 12-19. My first experience living in the U.S. was when I started college at age 19. I remember going to the supermarket and feeling overwhelmed by the choices of cereals, soups, laundry detergent, etc. I remember learning that when someone you know passes by saying “how are you?” they don’t actually mean to start a conversation. But, more than anything else, I remember the experience of feeling like there was something different about me because half of my family was Costa Rican. My ethnicity was never an important part of my identity (or seen as something different) for me until I moved to the U.S. and I was seen as “other.” White Americans who were aware of my background (because of my skin color, I have the luxury of being able to keep my identity hidden) often saw me as a representative for all Latinos. This was confusing to me because I never fully identified as Latina. I’ve had people ask me ignorant questions like why I thought Latinos who moved to the U.S. refuse to learn English and why I don’t like Mexican food since I grew up in Costa Rica. In essence, when I moved to the U.S., I found myself being forced into a box that didn’t really fit for me. Adichie captured many of those elements in her book but with a focus on race and blackness. Through her protagonist, Adichie discusses how blackness is an inherently different concept for African-Americans than for African blacks. Her observations of culture and cultural interpretations of race are fascinating and on point. She tackles race within the context of hair styling, mixed race relationships, relationships between African-Americans and Africans, and much more. I highly recommend this book. Adichie has given several TED talks. Below is an interesting one she gave about finding her cultural voice as a writer and many of the themes she discusses in this video overlap with themes from Americanah. And, while less relevant to this book, if you haven’t already seen her TED talk on gender and feminism, you should look it up on YouTube. It is fabulous. We want to hear from you! Have you read this book? What did you think? Have you read any others by Adichie? “I’ve had people ask me ignorant questions like why I thought Latinos who moved to the U.S. refuse to learn English and why I don’t like Mexican food since I grew up in Costa Rica.” I can’t believe that people said those things to you. It made me laugh out loud. I have seen Adichie’s talk on feminism and thought it was wonderful. I’ll have to read this book next! Great review and agree wholeheartedly that C. N.A. is so eloquent on the Ted Talks. A great role model.